DCU Language Services was the first place I studied after I arrived in Ireland in March 2017. Getting familiar with the academic environment was an excellent way to improve my English. I also got to enjoy the quality infrastructure with equipped classrooms as well as the library, restaurants, a supermarket, a pharmacy, a park, a gym and sports fields, among other things. 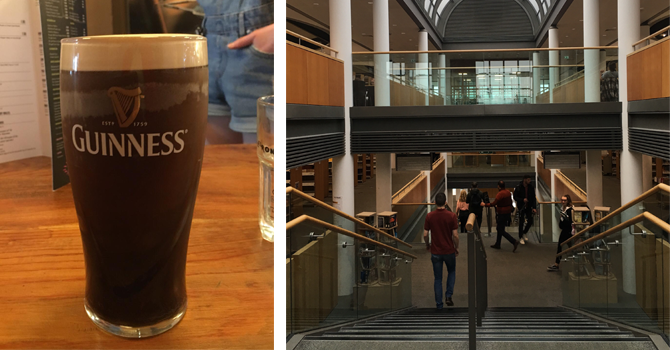 Within the Glasnevin Campus, there is even a bar where you can try delicious Irish beers. This vibrant hub is an exciting option, but you must be careful about drinking alcohol when your focus should be studying. In addition to the Glasnevin Campus, there are the St. Patrick’s and the All Hallows campuses. 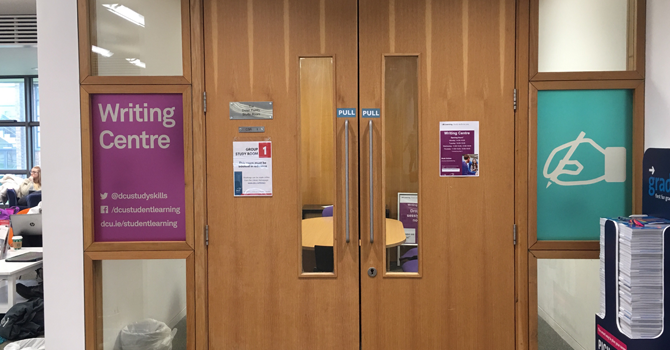 When you have a DCU student card, you can access and print documents at any of these locations, as well as make use of the second library on the St. Patrick’s campus. In September 2018, I finally started my Master’s degree. 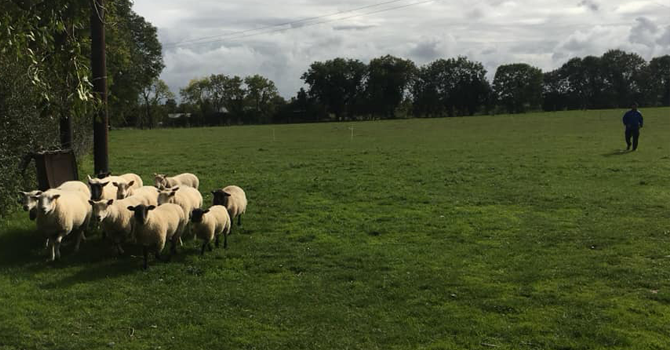 In order to do a postgraduate course at DCU, I had to obtain above the minimum grade of 6.5 in the IELTS exam, translate my educational certifications into English, write a personal statement and present a reference letter to the university. Most Irish institutions require the same. Using the same documents as well as my DCU offer letter and a form that took me a month to complete (I poured my heart into it! ), I applied for the Government of Ireland International Education Scholarship Programme 2018/19. After a few months, I received the result that I’d won the full scholarship. When my first assignments rolled around, I was concerned about not being a native English speaker. However, I found support sessions at the DCU Writing Centre. For this reason, I’m not exaggerating when I say that this is my favourite place on campus. Only the O’Reilly Library—which has a great variety of books and is open until 2am in the period before final exams—is closer to my heart. Another interesting service for academic students is the DCU Careers Service, which offers skills sessions, quick query clinics, one-to-one career guidance, preparation for interviews, etc. It is similar to a ‘coaching service’ and information is sent to your inbox every week, which is very helpful for career planning. Lastly, I cannot finish this blog without mentioning the DCU International Office. The team of international student advisors have always replied promptly to my emails, ever since the beginning of the application process. 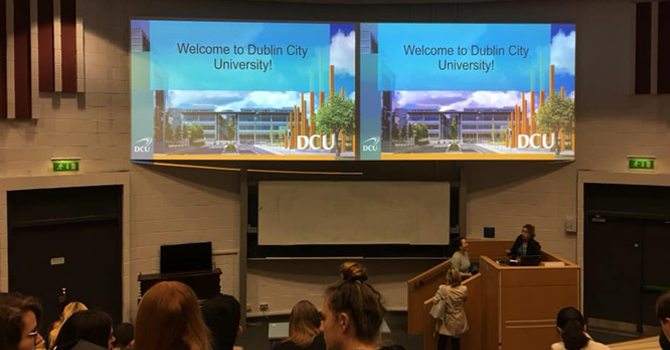 Furthermore, in orientation week, they provided a welcoming seminar for international students as well as a sightseeing tour of Dublin, a traditional Irish barbecue with folk music and a one-day trip to an Irish farm. Recently, the International Office held a lovely ceremony to reward international students and organised a Christmas party which I attended. To sum up, DCU has so many services available, as well as over 150 clubs and societies across all the campuses which means you can never run out of gas. My Master’s journey has just begun, but I am already delighted and satisfied to be part of this universe of new experiences. The world is still a small place so it’s great to experience other cultures, invest in critical education and build a better world too!